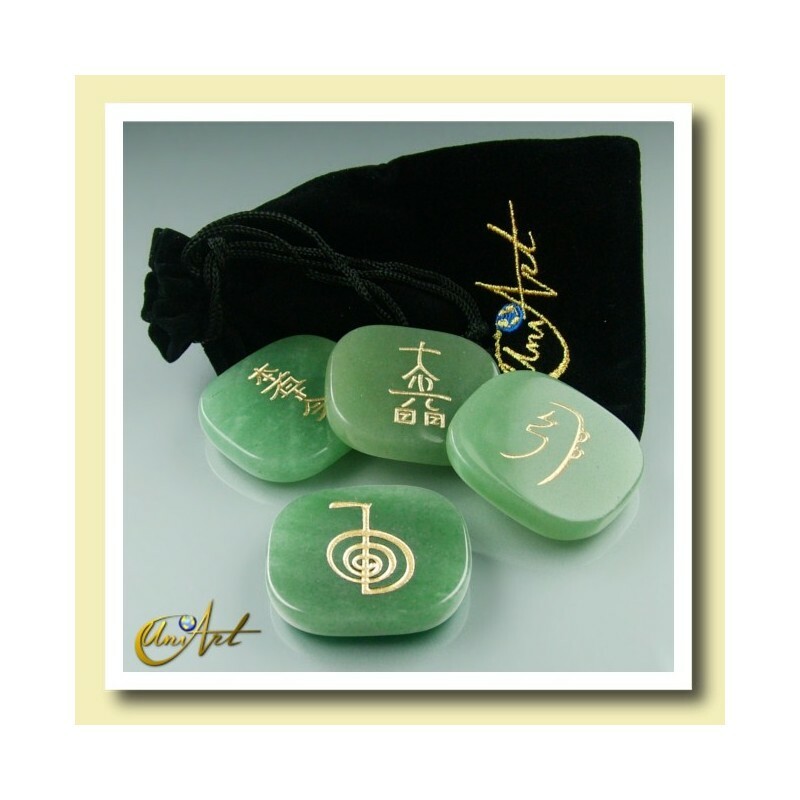 "RÁPIDO Y SIN NINGÚN INCIDENTE... TODO BIEN"
Green quartz flat stones set with Reiki symbols engraved. 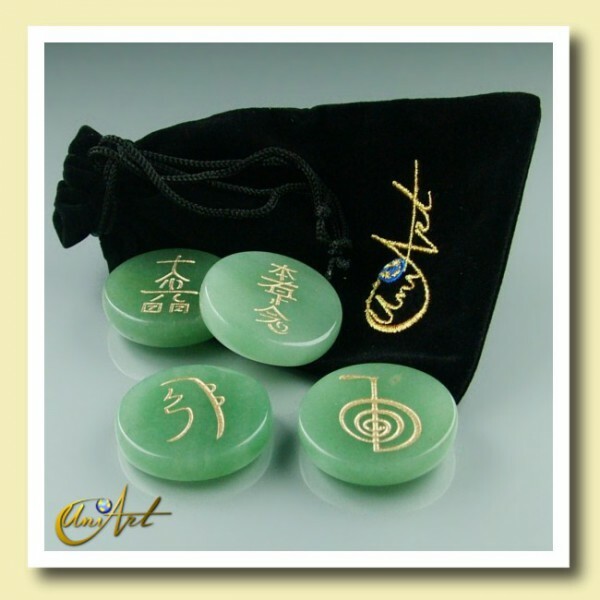 Set of Reiki symbols Cho Ku Rei, Sei He Ki, Hon Sha Ze Sho Nen and Ko Myo Day flat stones engraved in green quartz. 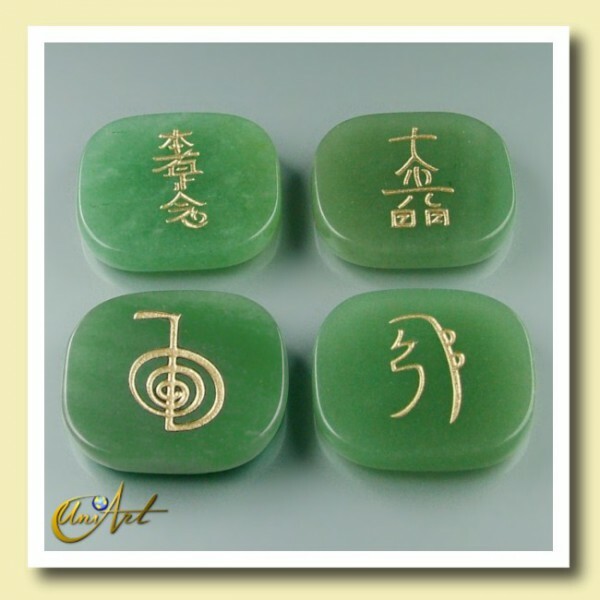 These are the four main traditional Reiki symbols. 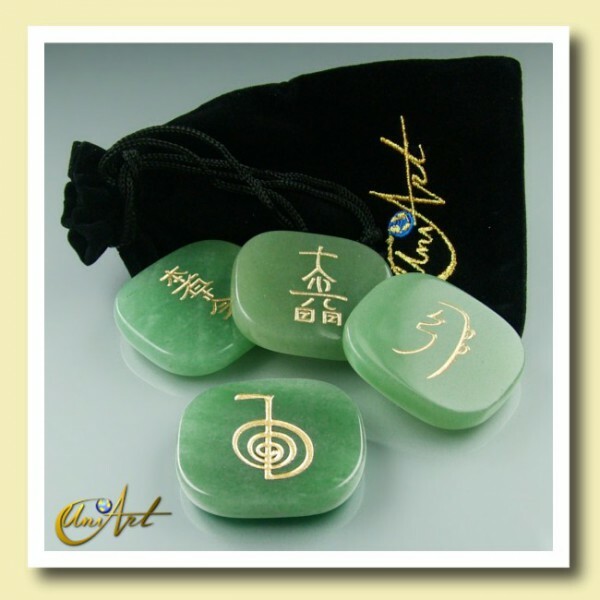 The Reiki symbols should be used by who has been initiated by a Reiki Master. 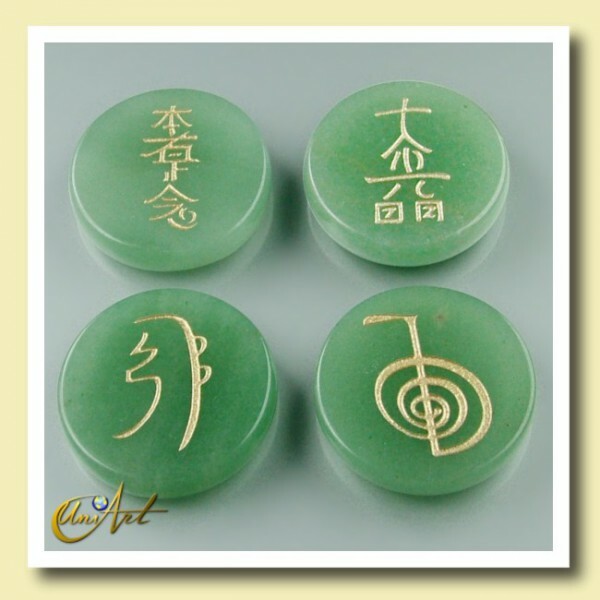 Many Reiki Masters considered to the stones, for their therapeutic properties, powerful tools for use techniques associated with Reiki. 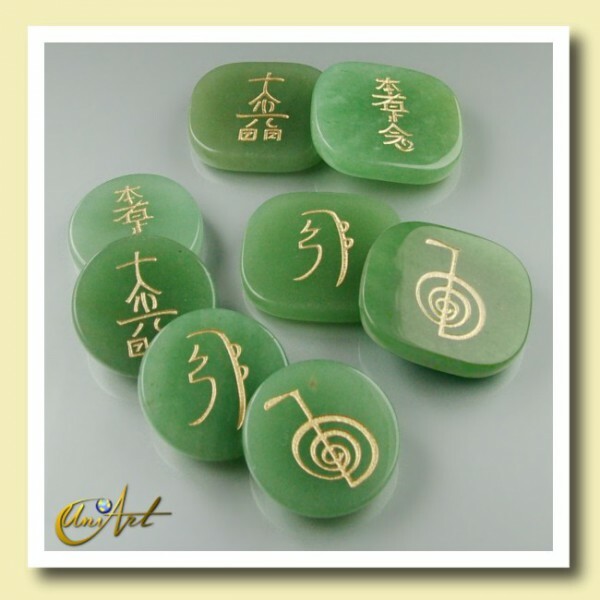 The green quartz stone of health, acting in the fourth Chakra. Energetically promotes health and wellness. Green Quartz is recommended for those who care for the health of others, such as doctors, therapists and nurses because it helps them develop their healing gifts. 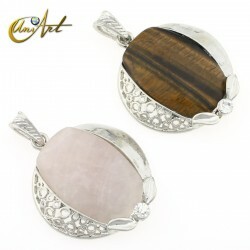 Model 1: Round stones of 4 cm diameter and 0.8 cm thick, each weighing 25 gr. approx. Model 2: Rectangular stones 4.6 x 4.0 cm x 0.8 cm, each weighing 30 gr. approx. The kit is accompanied velvet pouch.